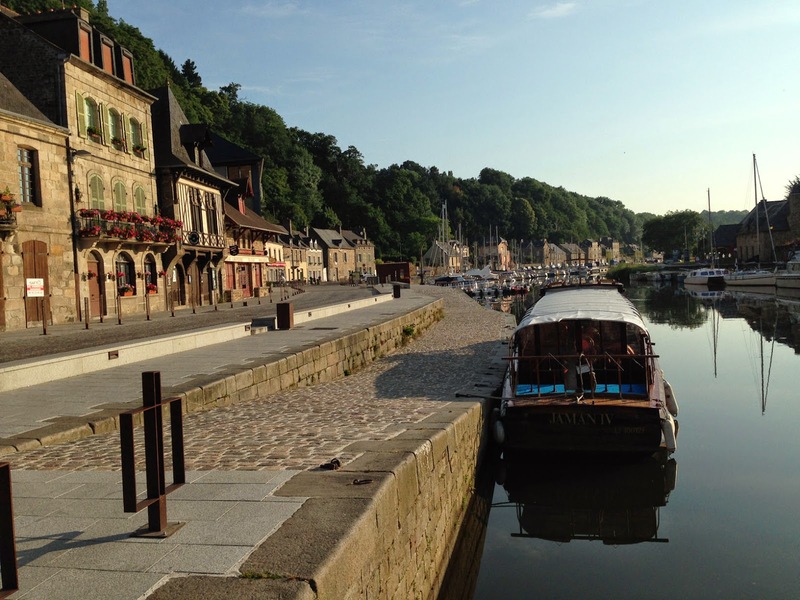 NOTE: This is the first of our short Summer Fun-Run routes, in vacation towns in Europe. 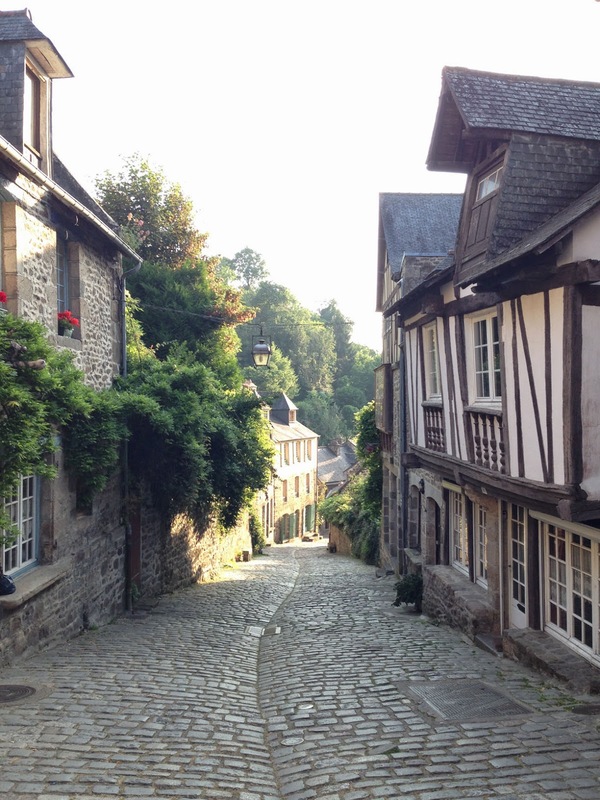 Dinan is a stunning, medieval town in northeastern Brittany, just south of St. Malo, along the Rance River. It sits on a bluff, high above the river, and the old town is still completely intact, making it one of the jewels of the region. You can run from the old town down to the river, then follow the river bank as far as you please. This route only takes you a short way along the river, but you can lengthen it as fits your plans. 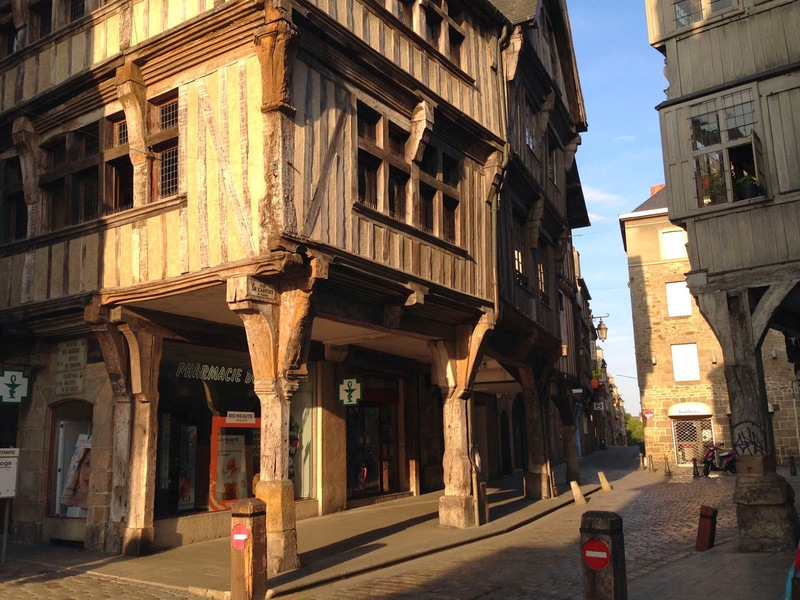 We'll start the route in the heart of the old town at the little square at Rue St. Claire and Rue de l'Horloge. 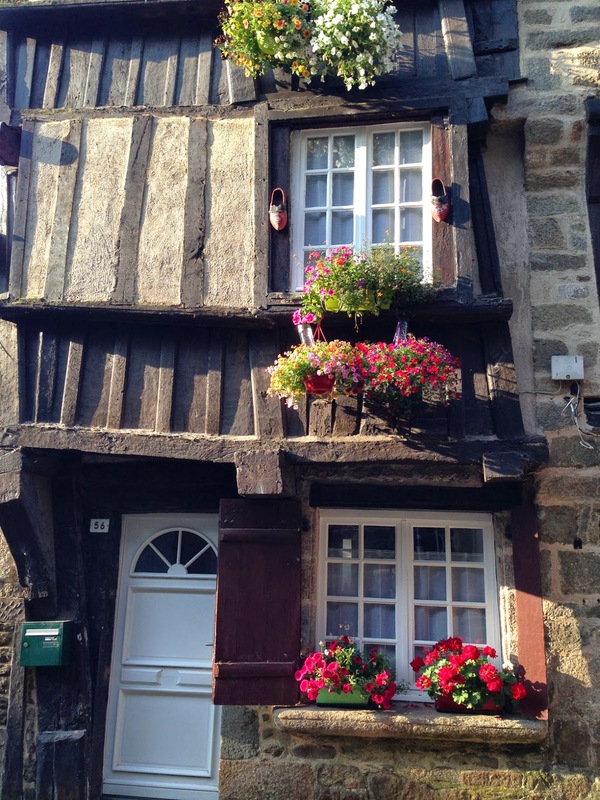 Turn north and run for two blocks, past the church tower, then turn right on Rue Haute Voie, where some amazing medieval houses line the corner. Turn right after a block to get to the next little square, in front of St. Sauveur church. 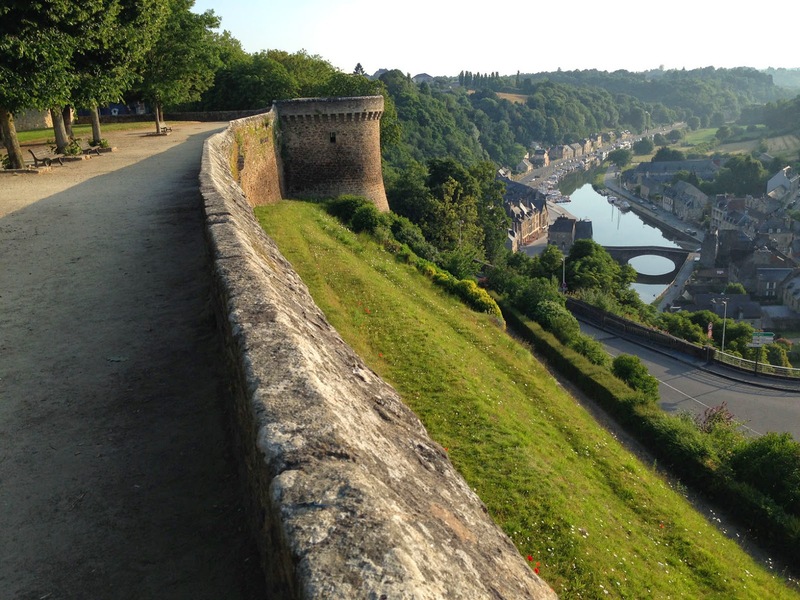 Now run past the right side of the church and straight out into still another square, at the ramparts, overlooking the river valley far below. Take a quick look out, note the harbor area with boats that we'll head towards next, then turn left and follow the ramparts to the end. 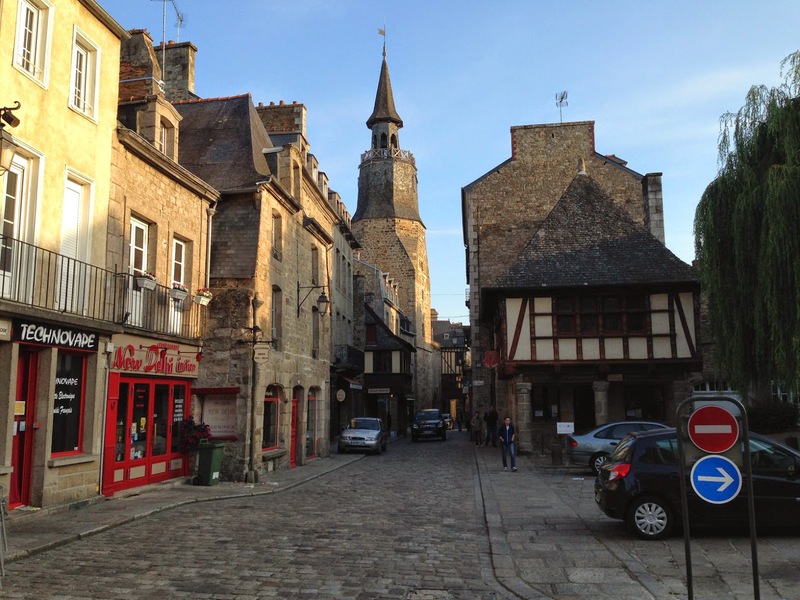 Here you turn left and run down the little street, to the cross street, Rue Haute Voie again. This is the main street for cars driving down to the harbor. Turn right to run downhill, but just for 50 meters, then turn left to go through the iron gates down to the little street below, Rue du Jerzual. This is the pedestrian way to the harbor, lined with exquisite old houses. You'll get to that street just outside the city walls and a gate, where you turn right and run downhill all the way to the harbor. Now you're at the river, where you turn left and run past the docks with a couple of tour boats and a lot of pleasure boats. This route just goes to the last houses along the harbor and turns around there, but this is where you can keep on running. At the spot ahead, where the street turns left, away from the river, keep following the bike- and pedestrian path along the water towards the north as far as you want. When you return to the harbor, turn up the pedestrian street, going uphill this time. 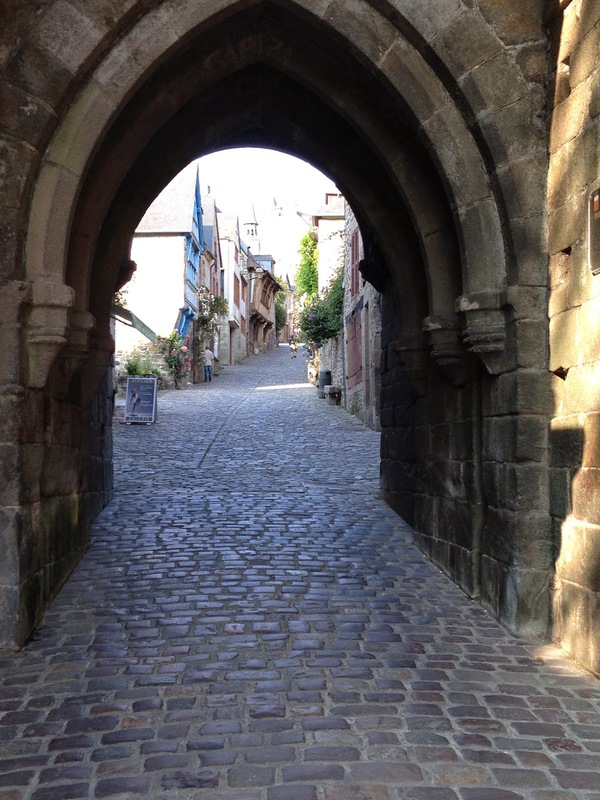 Continue through the gateway, and when you come to Rue de l'Horloge, turn left and run back to the start, just a few blocks farther, to the south.